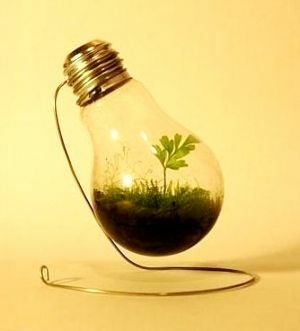 Light bulbs and batteries contain dangerous metals such as mercury and cadmium, which, if allowed to enter the soil and groundwater can cause serious health concerns for the eco systems, wildlife and humans. Elemental mercury can get absorbed through the skin and mild allergic reactions can occur due to the exposure. This is not a concern when the bulbs are intact therefore no danger is posed when the bulbs are in normal use. The amount of mercury contained in a single bulb is also such a small amount that when broken, also does not pose a great threat to an individual’s health. However it is the amount of broken bulbs and batteries that accumulate on the waste dumps, which is of concern as this allows for large quantities of these dangerous metals to seeps down into the ground and find their way back into our water supply systems. This is where the risk lies and why the safe disposing of used bulbs and batteries is imperative for the protection of the environment. 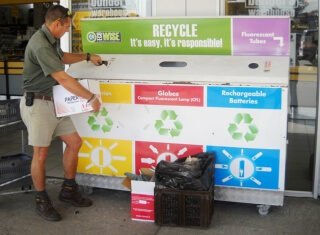 As part of our on-going effort to reduce our carbon footprint, Shamwari Game Reserve collects all used batteries and light bulbs from the lodges and delivers them to one of the designated collection points in Port Elizabeth. The companies where these designated collection points are situated then ensure the bulbs are disposed of in a safe manner. To further support our commitment to conserving the environment, Shamwari Game Reserve is also in the process of converting its current lighting to the more energy efficient, LED lighting which will drastically reduce the amount of these harmful bulbs being used at Shamwari Game Reserve.